We decided to spend the first Bank Holiday weekend of May in the Peak District with some mates. This is the route used to get to Leigh, where we spent had the hotel booked. 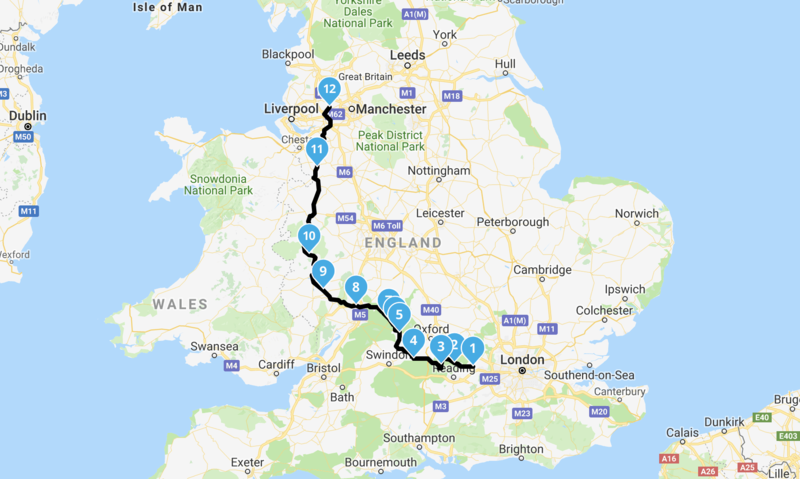 The route takes us through the Cotswolds and we follow the Wales border to avoid the crowded Birmingham. If you are interested in more routes, you can join the Riding Time group in MyRoute-app to have full access to them all. Anyone can join the group, so feel free to share it!